Your contribution to Schneider Children's will be most gratefully received and will help make a difference to saving children's lives. Contributions made in Israel, the United Kingdom, Germany and the United States are all tax-deductible. Pediatric care, by its nature, is continually evolving and a highly specialized discipline. As such, it demands a huge and constant investment in order to remain on the cutting edge of medical, scientific and technological progress. The operating budget of Schneider Children's Medical Center of Israel does not allow for the increasing costs of pediatric care, and the hospital has no choice but to seek additional funding from outside resources. This is where the generosity of donors plays a crucial role. Donors are sought to support facilities, equipment and personnel which constantly need upgrade and augmentation. At the same time, continued research studies, which comprise the very basis for medical advancement and increased knowledge, require sustained funding. 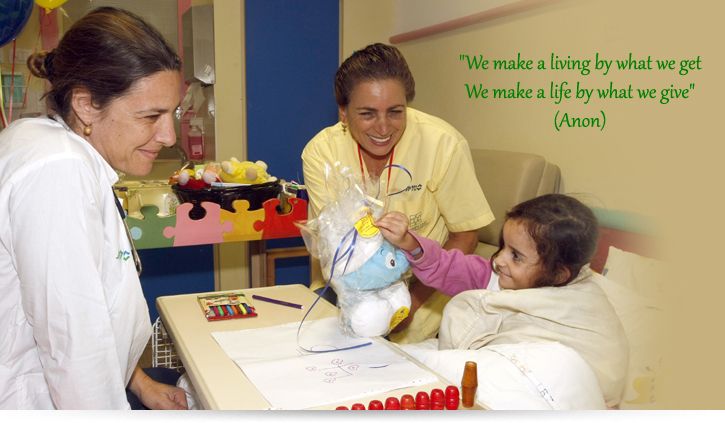 Due to escalating numbers of pediatric patients, there is a real and urgent need to expand services and facilities. The Southern Wing will be located adjacent to the existing building. Jewish tradition views philanthropy as a righteous deed and a just activity. Funding provides philanthropists with a sense of personal involvement and partnership. But above all, it provides them with the power to make a difference. Such power, in fact, that it can mean the difference between life and death. Financial support of Schneider Children's has no color, religion, or race, but it is the core of caring and the heart of humanity.